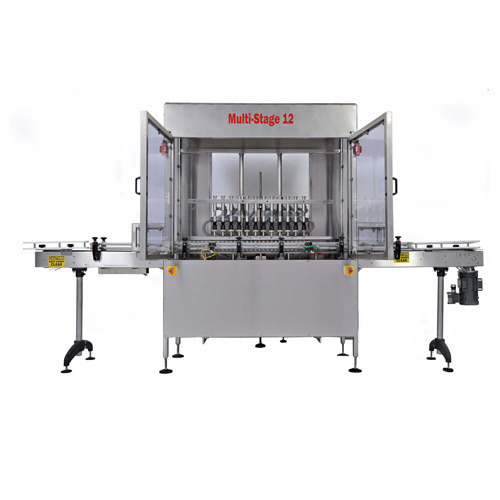 Due to our specialization in domain, we are engaged in offering a wide range of Bottle Filling Equipment. This product is developed using high grade of raw material in compliance with the advance and latest techniques. Our offered range is high in quality and provides optimum performance to the user. With our expertise in domain, we precisely processed and tested our offered range of Bottle Filling Equipment and then delivered it to our patrons. Our product range is in huge demand among our clients. To add on, we are committed for time bound delivery. Nishu Enterprise, Established in the year 1996, our range of Water Treatment Plants and Spare Parts, has pushed our organization to perform outstandingly. This has enabled us to venture and undertake the Manufacturer, Wholesaler, Retailer, Retailer and Trader our range of quality products. We offer our valuable clients a wide range of O2 Generator, Ozone Water Treatment System, Reverse Osmosis / RO System, UV Systems & Ultraviolet and Micron Filtration. Our range is appreciated for the features such as feasible design, user friendly, easy in operation, reliable function and easy maintenance. Our clients can also avail DM Plant (ion Exchange Technology), Dosing System, Activated Carbon Filter, Sand Filter Filtration and Softening Plant. This quality range finds application in petrochemical, pharmaceutical, sugar, textile, leather, automobile and food & beverage industries. Further, we render cost-effective services such as Fabrication, Ultra Filtration and Chlorination. We are majorly looking for the authorized distributors for our complete range of Water Treatment Plants & Automatic Rinsing, Filling & Capping Machine for Filling Packaged Drinking Water in Pet Bottle from all over INDIA. At our state-of-the-art facility, we are installed with an array of sophisticated machines and equipment. Our experts undertake the manufacturing of the quality range with the aid of latest in line technologies and processes to ensure products offered by us have water treatment / purification & mineral / bottled water technologies, reverse osmosis, ultra-filtration (membrane process), micron-filtration, water softening, De-mineralization, media filtration and ultraviolet & ionization, chemical dosing systems. Further, we have undertaken turnkey services such as operation and maintenance of complete Water and Waste Water Treatment Facilities, Supply and Service for Water & Waste Water Treatment Chemicals, Providing Laboratory Services for Water & Waste Water, Pilot Plant Studies and Water Audit & Feasibility Studies. Owing to this reason, we are able to cater to the requirements of clients based across Indian Subcontinent.